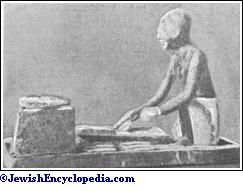 Among the Hebrews the task of preparing the daily supply of fresh bread fell to the housewife. It was only in the larger cities that professional bakers were found, and, even in these, not at a very early date. 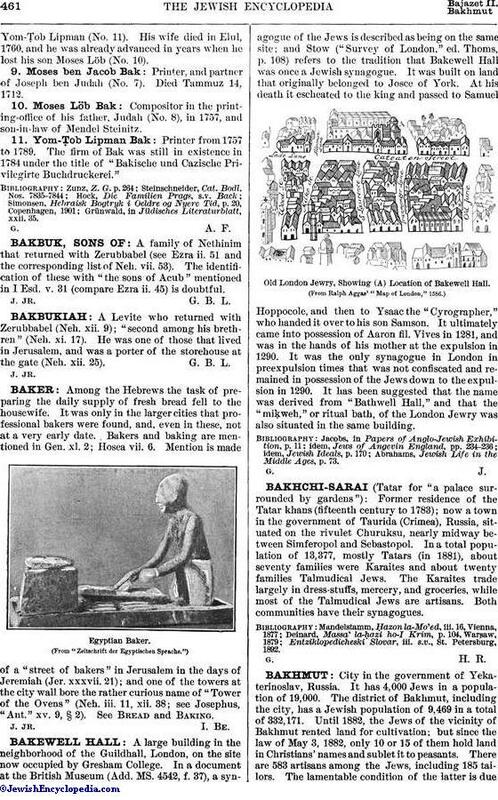 Bakers and baking are mentioned in Gen. xl. 2; Hosea vii. 6. Mention is made of a "street of bakers" in Jerusalem in the days of Jeremiah (Jer. xxxvii. 21); and one of the towers at the city wall bore the rather curious name of "Tower of the Ovens" (Neh. iii. 11, xii. 38; see Josephus, "Ant." xv. 9, § 2). See Bread and Baking. (From "Zeitschrift der Egyptischen Sprache.")J. Jr. I. Be.